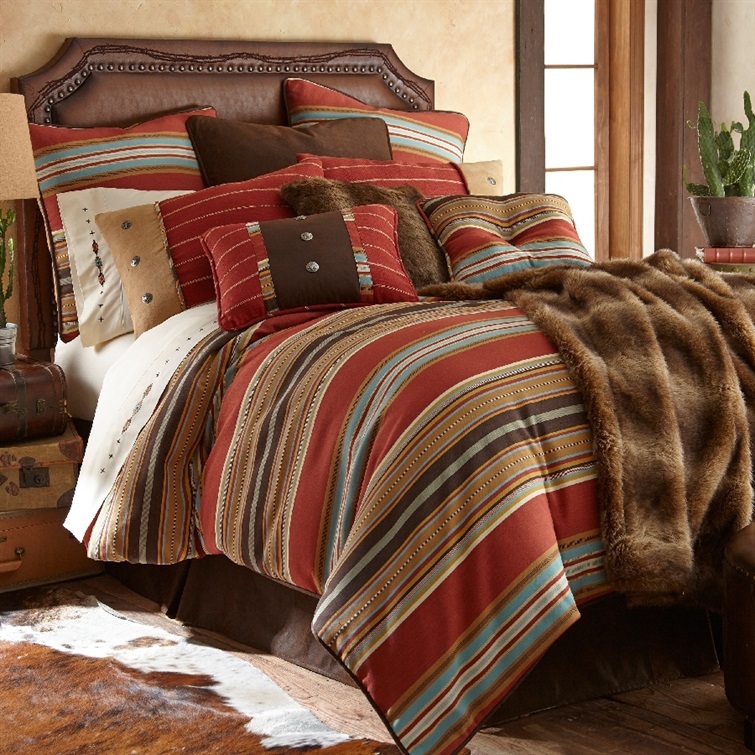 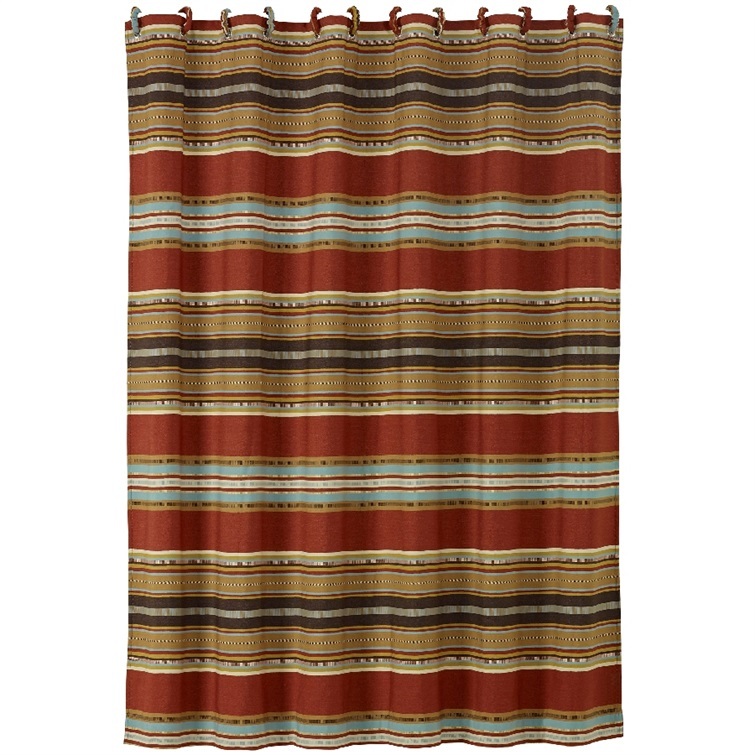 Calhoun Southwestern Bedding Collection features a stripe comforter in the colors of the southwest, turquoise, rust, light tan, beige and brown with faux leather accents. 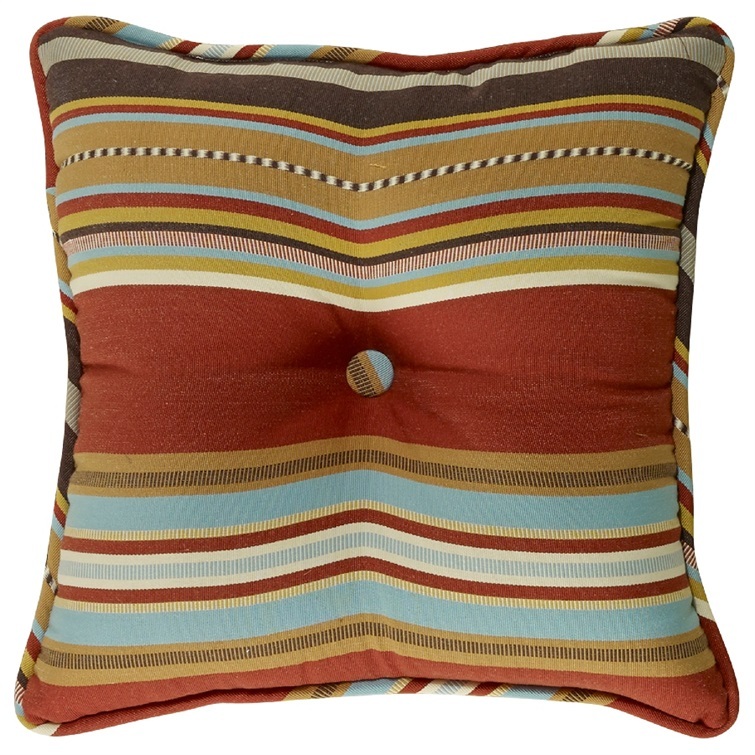 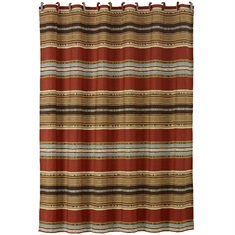 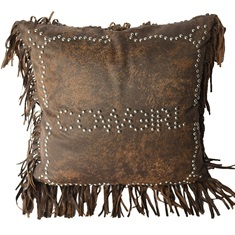 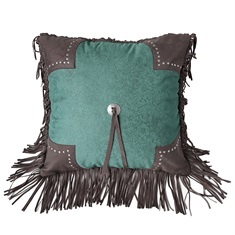 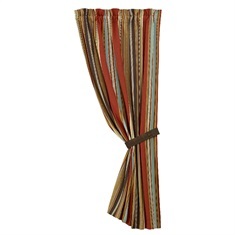 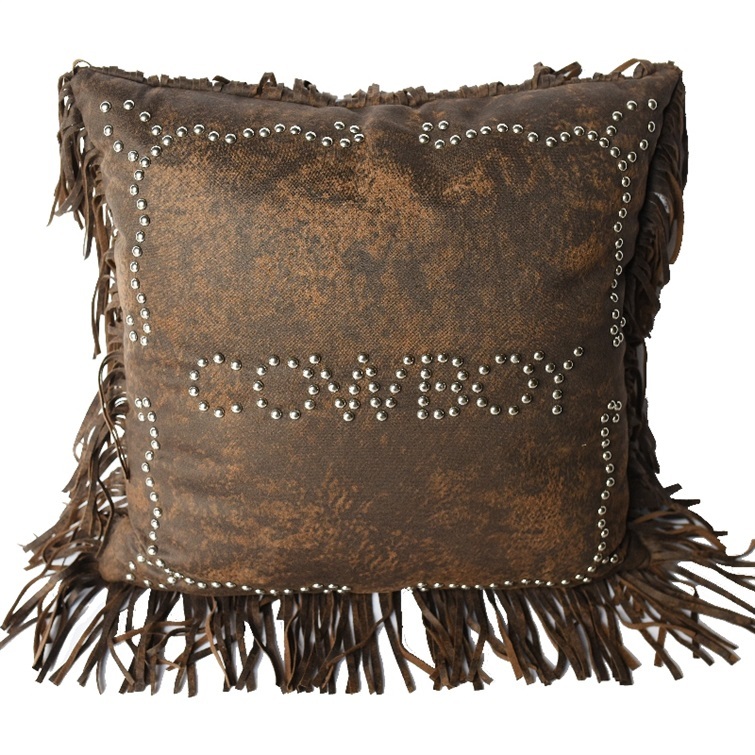 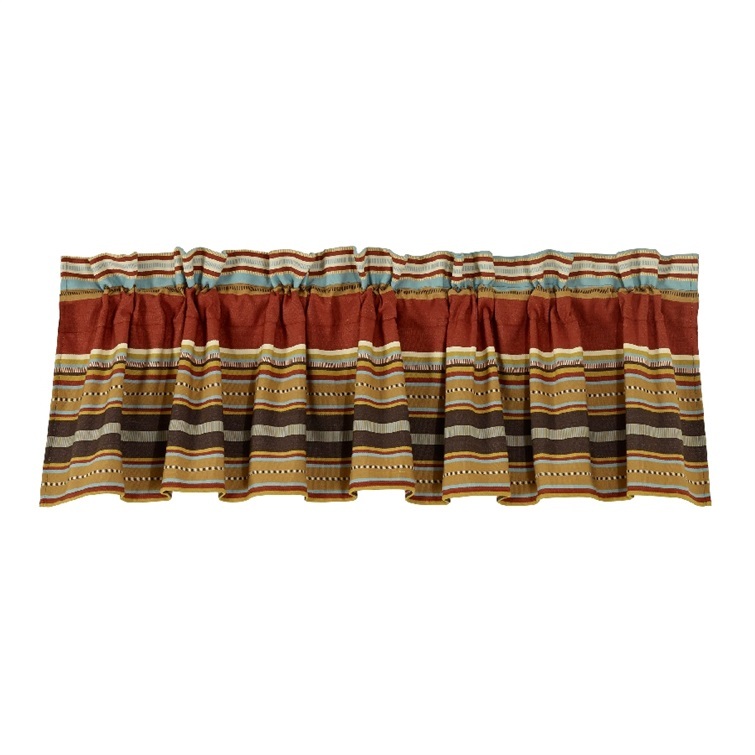 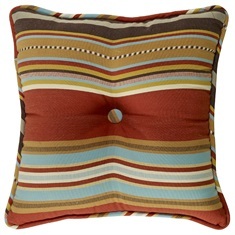 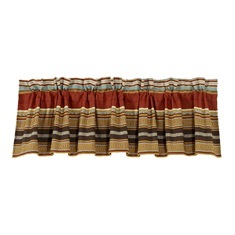 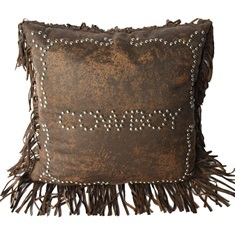 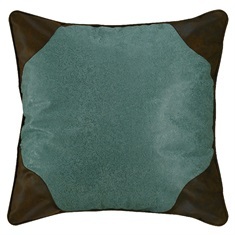 Pillow shams in a coordinate stripe are pieced with a light tan ends, concho accents and piping details. 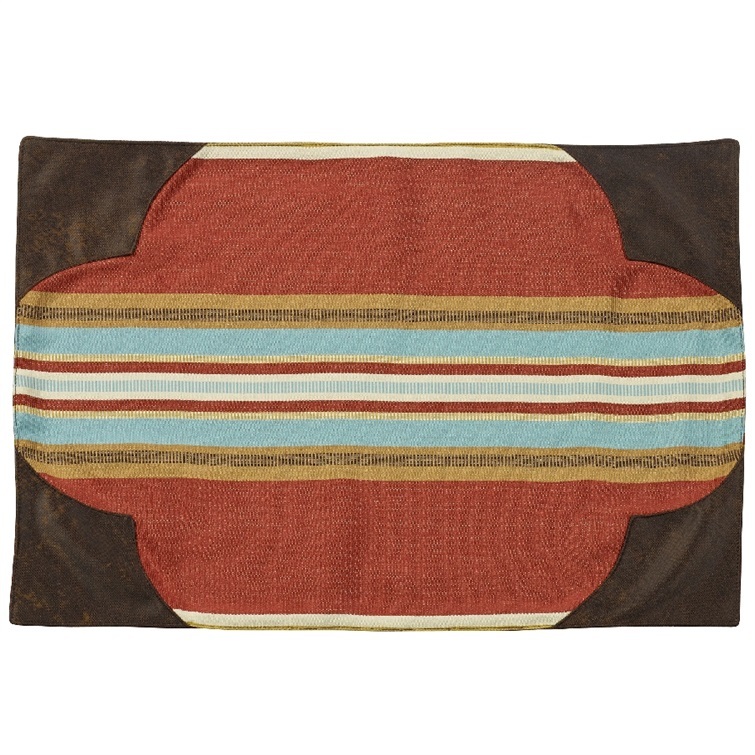 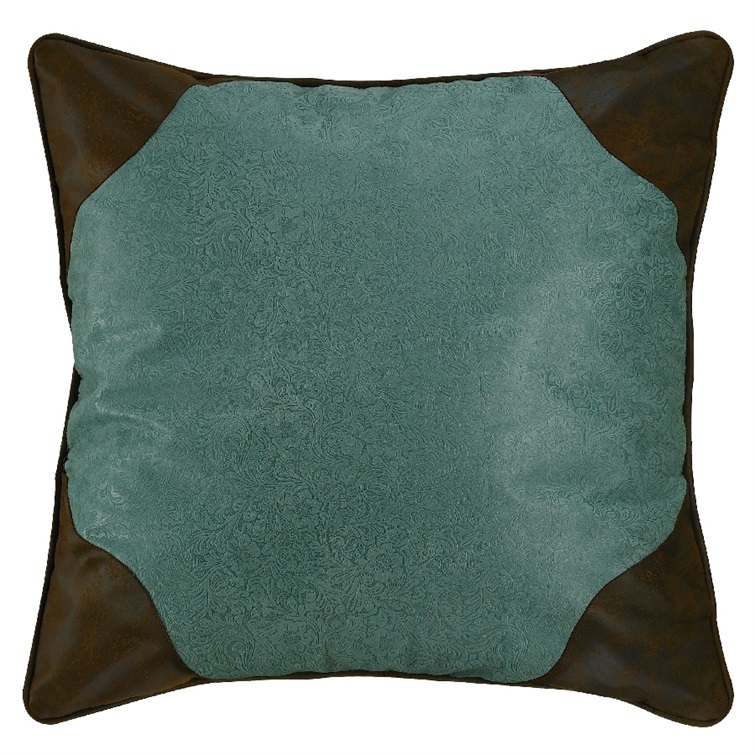 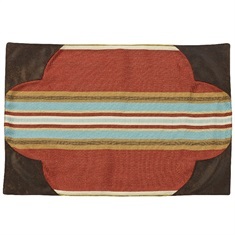 The oblong pillow combines both stripe fabrics with a brown faux leather center panel matching the tailored bedskirt adding to the rustic elegance of the southwestern bedroom decor you will love coming home to. 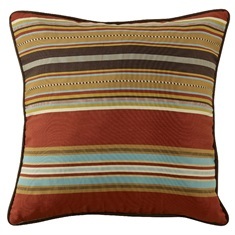 4 pc Twin Set includes comforter, bed skirt, pillow sham and oblong pillow.